WHOlives – Providing easy access to clean water, better health, and economic opportunity, through the use of the Village Drill. Experts in bringing clean water to the developing world through sustainable drilling solutions. Over 1 billion people suffer each day from scarce and contaminated water. We provide clean water access to millions. Over 3.4 million people die each year from waterborne illnesses. We are eliminating such health risks. Our sustainable model creates business ownership opportunities and jobs for communities in need. WHOlives kicked off 2018 with more clean water wells in the Democratic Republic of Congo. Thanks to a generous wave of donations during late 2017, we were able to fund vital water projects in just the first few weeks of the year! In partnership with our amazing friends at Go Conscious Earth, our patented Village Drill was taken into the region of Lake Tumba in rural Congo, drilling six water wells in remote communities. 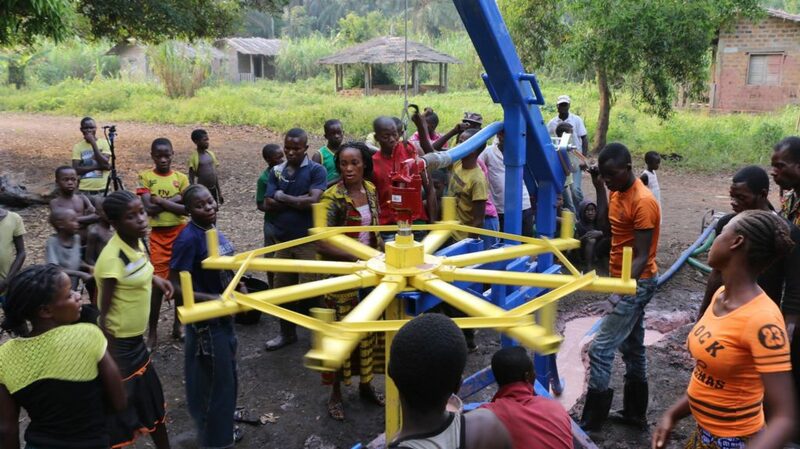 The first well was drilled in the village of Bokete, home to more than 3,000 people. Thanks to our wonderful partners at TIFIE Humanitarian who helped fund this initial drill for Go Conscious Earth, hundreds of families now have access to clean water for the first time! This will lead to improved health and greater opportunities in life.